OXFORD, Miss. 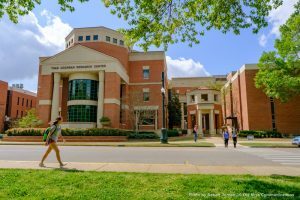 – The University of Mississippi School of Pharmacy was recently named one of the best financial values in the country among pharmacy programs in a study by personal finance and loan refinancing company SoFi. The School of Pharmacy ranked twelfth nationwide based on the ratio of its graduates’ average salary to average student loan debt. The study used data from the American Association of Colleges of Pharmacy on first-year tuition and fees and student loan debt from more than 60 programs around the country, as well as from the Bureau of Labor Statistics on median salaries of 2016 graduates. The average salary for a UM pharmacy graduate is $120,269, which is just under the national median pharmacist salary of $121,500. However, UM pharmacy graduates have an average of $98,051 in student loan debt, almost 40 percent lower than $157,425, the national average of pharmacy students’ debt. This 1.2-to-1 ratio of salary to debt accounts for UM pharmacy’s high rank in the SoFi study. Starting salaries for UM pharmacy graduates are on the rise, which may be due to the shortage of healthcare professionals in Mississippi, especially in more rural areas. In 2015, the Mississippi Legislature addressed this issue by expediting licensure for rural practitioners. Mississippi is ranked fifth nationwide in demand for pharmacists, according to the Pharmacist Demand Indicator.